You are invited to a cacao connection ceremony celebrating the May New Moon. 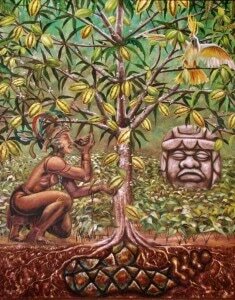 Together we will receive the blessings of Cacao as a Spiritual medicine to activate our Soul’s Truth and Highest Calling. You are invited to bring any sacred items you wish to contribute to the altar as well as a musical instrument, song, or reading passage to offer to the circle. Feel free to bring your special mug to receive your cacao drink, a cushion for sitting, a shawl, and anything else that would make you feel comfortable.